yourFXguide-Hello traders, a successful trading system is the obligatory technical analysis tool to maintain a profitable statement. I myself very happy to find this trading system, and to apply it on my trading platform. So far the trading system is very useful to me. I am really impressed !!! First of all, let me explain how to install this trading system and what are the components. 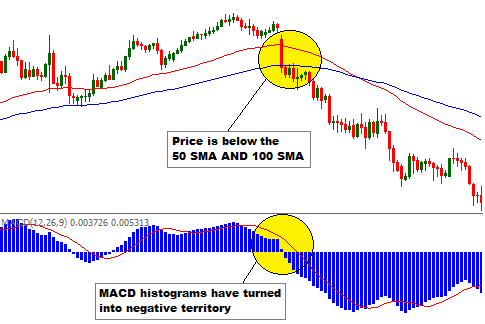 This trading system composed of 50 periods Simple Moving Average, 100 periods Simple Moving Average and MACD Histograms. When does the system signal a long entry? Price is above the 50 period and 100 period Simple Moving Average. MACD histograms have turned into positive territory. The stop loss for the long entries can be placed 20 pips lower than the 50 period or 100 period Simple Moving Average or at the previous swing low. When does the system signal a short entry? Price is below the 50 period and 100 period Simple Moving Average. MACD histograms have turned into negative territory. 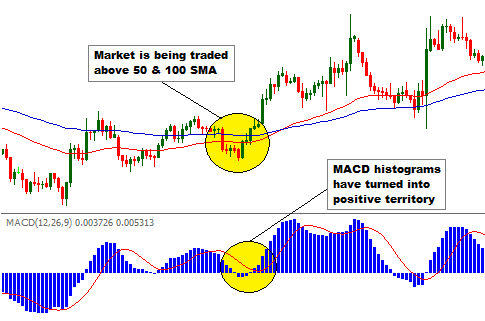 The stop loss for the short entries can be placed 20 pips upper than the 50 period or 100 period Simple Moving Average or at the previous swing high. 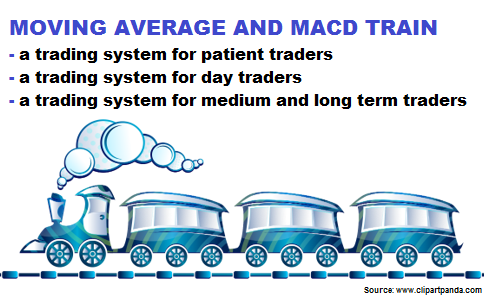 This trading system is applicable on charts of any time frame hence applicable by any type of traders. Dear Traders, If you have any question regarding this post, you can drop it into the comment section below.You can also share your experience while trading with this trading system.